Martin Luther King Jr. Day - No School! Silent fears, burning guilt, heavy sorrow often fill our hearts. We can feel that we are without hope. We might imagine that God is absent from our lives or that God has forgotten about us. In our uncertainty and vulnerability, we often cry out "Where in the world is God?” During the Sundays after Epiphany, God’s Word reveals to us that God is exactly where we need him to be—in the person of Jesus Christ. This past Sunday we remembered Jesus' baptism and were reminded of our own as we found God baptizing us. The following devotion is adapted form Sunday's sermon on Luke 3:15-17, 21-22. If you would like to read the sermon in full, simply click on Where in the World Is God? Baptizing You. Rather than run, the people came in droves. They came sinners all of them—tax collectors made wealthy by their greed, prostitutes so desperate they had sold their bodies for money, lowlifes and “sinners” rejected by society, soldiers who had wielded power to extort, even religious leaders who just weren’t sure—all people who had caved to the cravings of their sinful natures. They came with fear silently hidden in their hearts or guilt burning inside or sorrow crushing them. They came to the prophet broken and desperately in need of forgiveness. They came. They listened to the Word of God, and they were baptized with sins forgiven by the One whose coming John foretold. John’s baptism was meant for sinners, for people who needed forgiveness. Those waters of Baptism washed away all the guilt of their sins. They went from the dark and deadly guilt of sin to the holy purity of forgiveness in Christ. Baptism is for sinners, not the holy. So why did Jesus show up one day with the crowds on the banks of the Jordan River? It's not like he needed his sins to be forgiven. Yet there he was standing in the Jordan with baptismal waters being poured over his own head. Why was he there? Jesus was baptized for us. Jesus was baptized because he needed to save you. You were baptized because you needed to be saved. To be honest, you and I are no better than any of those broken, fearful, guilty, sorrow-burdened people who came to John to be baptized. In spite of our best intentions, we still cave into the cravings of our sinful natures, breaking down where we are weakest. Maybe it’s lust. Maybe it’s greed. Maybe it’s envy. Maybe it’s arrogance. Maybe it’s putting someone or something else in God’s place in your life—family, sports, politics, work, success, technology, you name it. In some way, even if it’s buried deep down inside your soul, there’s fear. There’s guilt. There’s sorrow. There’s brokenness. If you don’t believe me or won’t admit it, look back and see a life littered with sin’s refuse. That’s why Baptism is so amazing! The Apostle Paul explains, “He saved us through the washing of rebirth and renewal by the Holy Spirit whom he poured out on us generously through Jesus Christ our Savior.” (Titus 3:5-6) In Baptism, we are renewed and reborn. At Baptism, your sinful nature was crucified and buried with Christ. You were raised to live a new life. All the great blessings of Jesus’ Baptism and all that he accomplished and earned through his work as God’s Anointed became yours. Everything he earned through the pouring out of his blood and through his rising from the dead became yours. All the forgiveness you need for all that burning guilt in your soul became yours. All the new life you need so you don’t live in fear anymore became yours. All the comfort and peace you need for your grieving, sorrowing soul became yours. All the reconciliation you need to be reconciled with the holy God became yours. All the confidence you need in the face of death became yours. All of that becomes yours, because Jesus came to save you. Isn't that remarkable? That helps us to know where God. He's there in the Jordan in your place, washing you clean of sin's filth, forgiving you of your guilt, restoring you to membership in his holy family. God is there saving you through the precious water and Word of Baptism. Upcoming Leadership Meetings - The elders will meet after worship this Sunday. The council will meet @ 6 pm this Monday. The voters will meet for our quarterly meeting after worship on Sunday, January 27. The Resolution to Our Suffering – “Lord, why did you allow this to happen to me?” “How can you be a loving God and allow such atrocities to occur?” Do you know someone who is angry at God because of suffering, death, or tragedy? Have you ever asked questions like that? Martin Luther once wrote, “A theologian of glory calls evil good and good evil. 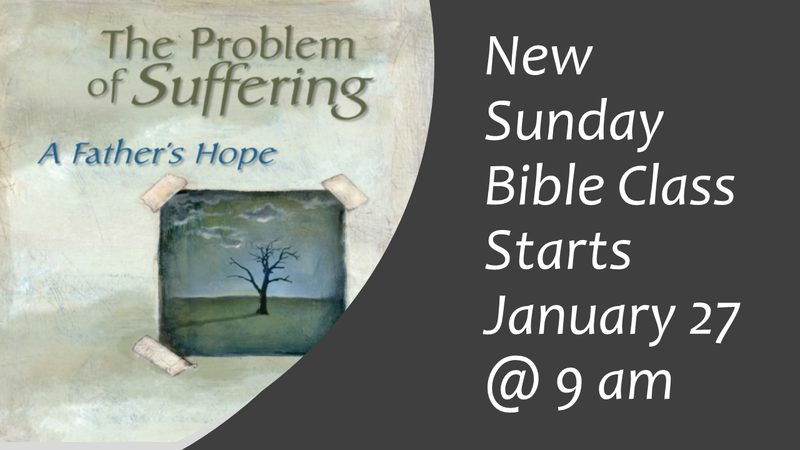 A theologian of the cross calls the thing what it actually is.” Starting Sunday, January 27 @ 9 am, we will take a closer look at the problem of suffering—how our world addresses that problem and ultimately how God alone resolves suffering in our lives. A helpful resource we will be using is The Problem of Suffering: A Father’s Hope by Dr. Gregory Schulz (Available from Amazon and Concordia Publishing House). True and Reasonable – How do I handle objections to my faith? What can I say when people reject the Bible or Jesus or my Christian faith? In a world growing increasingly hostile to Biblical Christianity, these are questions with which we all have to wrestle. Young people today are on the front lines of this struggle facing objections to what and whom they believe. So what can we do? 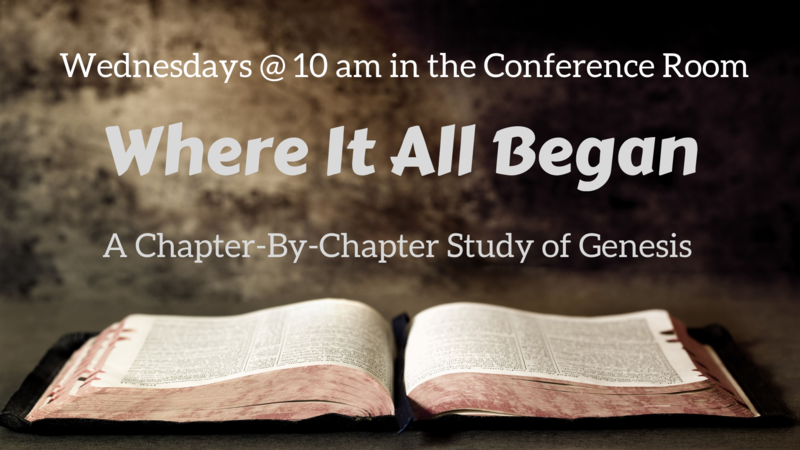 Starting Sunday, January 27 @ 9 am in ACTS class, we will see that we have a “toolbox” that can help us face objections to our faith, including the best tool of all—the Word of God. All 6th-12th graders are encouraged to attend! The Church Picnic is planned for Sunday, February 10 @ Eastmonte Park, Cal Ripken Pavilion. Worship begins at 10 amwith a potluck lunch and games to follow. If you are attending, please sign your name and an entrée on the sign-up in the entryway.